This guest post was authored by Chris Cano, Content Executive and Copywriter at dotmailer. Putting customers first is a winning strategy for any successful online retailer. However, marketers sometimes forget that loyalty begins with the first click and spans the entire customer experience. We believe that treating frequent customers as VIPs in the inbox is a sure-fire way to nurture their loyalty and spur customers to buy more in the future. Over the years, technology keeps providing extraordinary opportunities to maximise on customer loyalty. It helps marketers make customers feel like they’re the only one in the world, and merchants to automate workflows and communications to deliver sensational results. And, with 70% of consumers saying it takes three orders or more to make them loyal to a brand, it’s clear that loyalty programs benefit heavily from data. Why do data-driven loyalty emails perform better than standard batch and blast? Quite simply, loyal customers have a higher lifetime value. And, as a result, these frequent and high-value shoppers are more likely to interact with your campaigns. So, don’t pass up the opportunity to communicate with your most engaged audience. Set up an email automation program that nurtures valuable customers into loyal advocates. It’s important to remember that loyalty might mean something different for every merchant. It could be based on how frequently a customer purchases, the amount they spend, or whether they’ve activated their loyalty membership. But, one thing is for sure: loyalty is amassed from every single customer interaction, including clicks, browsing behaviours, and store visits. Use this data to build your email program and trigger your communications. Now, let’s deep-dive into email best practice. 35% of subscribers open emails based on subject line alone, but best practice comes in many shapes and sizes. Here are some of our key dos and don’ts. Excessive use of exclamation marks can weaken your credibility. The odd one is fine though! Subject lines are tough because what works for one brand might not work for another. The most important thing to remember is that the subject line should ooze personality and reflect your brand. 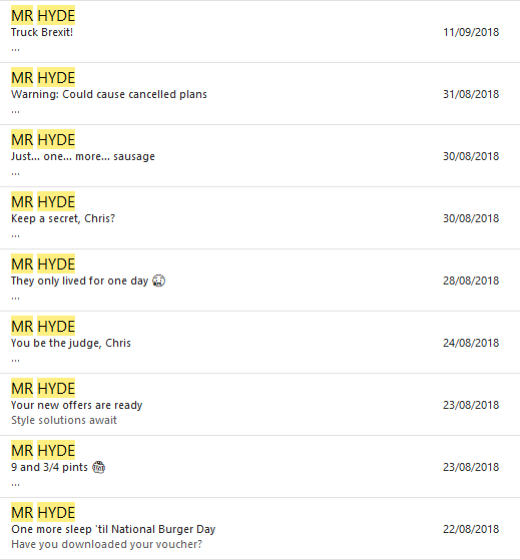 Some really good examples are from Mr Hyde (Shortlist Media). You’d be surprised by how many marketers ask, “what’s the optimum length of an email campaign?”. The answer is: “it depends”. An event invitation might be no longer than two scrolls, but a promotion of your hottest drops could be lengthier. Email length depends on the intention of the message. Always ask yourself: “what do I want subscribers to do?”. If you want them to act quickly to redeem loyalty points that expire soon, keep it short and sweet with a clear call to action. Email frequency: when do subscribers suffer from email fatigue? Flurries of emails can annoy. 1 in 4 internet users cite excessive email frequency as a reason to unsubscribe. According to the same report by eMarketer, 21% stated that irrelevancy causes them to opt out of communications altogether. The truth is that a daily email works well for some and not for others. The important things are to keep them consistent and varied. Your business-as-usual emails, such as newsletters, promotions, and content round-ups, should be well-targeted and reflect the preferences of your audience. 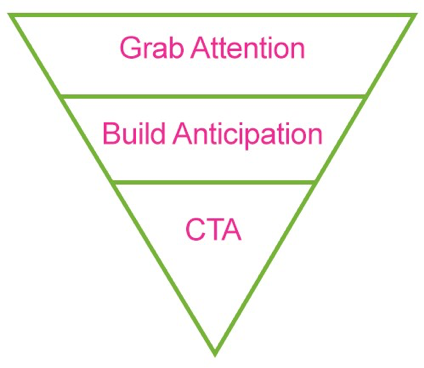 It’s also important to set frequency and content expectations when subscribers are signing up. It might be a cliché, but quality wins over quantity. Loyal customers won’t want to be bombarded by emails that aren’t beneficial to them. Exclusive discounts, rewards and vouchers are the key to kindling the relationship and retaining their loyalty. Make sure you get this right. A minimal email can look magnificent. A jam-packed email with tons of copy and next-to-no images can put people off. Get your message across with well-structured, compelling copy that’s supported by beautiful, relevant imagery. Be creative. And remember, you can always split-test your email layout, content and images to get the best results. Although the myth that our attention span only lasts eight seconds has been dispelled, the problem isn’t even about our attention span; it’s that we have an infinite number of options to chose from. Now that a subscriber has invested in opening your email, narrow their options by including just one call to action. Don’t pepper your email with dozens of buttons. Your email should have one clear goal that grabs the subscriber’s attention, builds anticipation and gets them to do something. dotmailer is the omnichannel marketing automation platform of the dotdigital Group PLC (LSE: DOTD). It currently enables more than 80,000 marketers in more than 150 countries around the world to use transactional and behavioural data to design, test and send powerful automated digital campaigns that run across all customer channels, from email to SMS and social media. Established in 1999, dotmailer is a global company with more than 300 employees and B2C and B2B enterprise & SME clients.